Of all the workout supplements you can buy, pre workouts may have the widest variety of ingredients, dosages, and effects — which is why it’s so hard to find the best pre workout for your needs. Why should you even consider a pre workout? Isn’t proper sleep, nutrition, and hydration all you need for an awesome workout? It’s certainly true that these three lifestyle changes can radically improve your athletic performance (as well as mood, immunity, and just about every other area of your life). But for those who want a little something extra, the right pre workout for your needs can make a significant difference. Although there are many stimulant-free options, people tend to think of pre workouts as caffeine supplements, and it’s true that a jolt of caffeine can be a great way to decrease fatigue. But it doesn’t just “increase energy” — studies have found caffeine can boost endurance, power, and strength, along with some potential improvements in cognition and perceived exertion. However, there are scores of other ingredients that appear in the mix, including chemicals and plant extracts that have been formulated to improve endurance, power output, focus, fat loss, blood flow, and more. That’s why we’ve tried dozens of pre workouts, from the biggest brands to the newest up and comers, to find out the absolute best pre workout for twelve different purposes. Jam packed with not only ingredients linked to power, blood flow, endurance, and focus, but antioxidants as well. Strong, research backed doses, and a two-scoop serving to keep things mild if you prefer. Use code "BARBEND10" for 10% off! Very high in beta alanine and BCAAs, which may help with muscle retention. Use code "BARBEND10" for 10% off! A solid pre workout for endurance, power, and focus that may help testosterone production. Use code "BARBEND10" for 10% off! Lean can help endurance and focus, plus it has several ingredients normally found in fat burners. Use code "BARBEND10" for 10% off! Read below for a detailed breakdown as to why we picked each of the winners, plus even more categories and picks to find the best creatine for you! What Are the Benefits of Pre Workouts? A small cup of coffee has about 100 milligrams of caffeine, and pre workouts range from 80 to as much as 350 milligrams per serving. But again, a pre workout isn’t just caffeine. (And sometimes they don’t even have that.) The most common additions include beta alanine for endurance, citrulline for blood flow, betaine for power, and tyrosine for focus. But plenty of pre workouts contain unusual plant extracts, like toothed clubmoss or hawthorn berry, which don’t have the most convincing body of evidence supporting their abilities to improve performance. When judging a pre workout’s effectiveness, we didn’t disqualify anything that had a questionable ingredient. Rather, we looked at the overall effect of the product. Even if there are a couple of not-so-science-backed inclusions, are there enough reputable, well-dosed ingredients that the product will be useful? 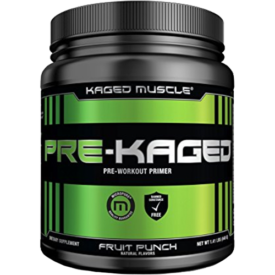 KAGED MUSCLE PRE-KAGED was our overall favorite pre workout. Basically, it’s a great all-rounder: It’s high in caffeine (274mg), beta alanine, citrulline, betaine, and creatine, so it can support just about any kind of workout. There’s a significant amount of taurine and two kinds of tyrosine for focus, and there are branched chain amino acids, an unusual addition in a pre workout which can make it easier to exercise on an empty stomach and retain muscle. A tasty preworkout jam packed with not only ingredients linked to power, blood flow, endurance, and focus, but also antioxidants as well. Add all that to the fact that there are actual ground up vegetables in it to deliver a hit of antioxidants, which may reduce cellular damage during exercise, and you have a truly unique product. Learn more about KAGED Muscle here. Legion Pulse came in second. It doesn’t have BCAAs and it’s pricier than PRE-KAGED, but it’s even higher in caffeine (350mg), beta alanine, citrulline, and betaine, making for another very versatile product whether you’re working out for endurance, power, or anything in between. It’s also free of artificial flavors, sweeteners, and colors, which should please athletes looking for a more natural way to boost their workouts. Shop Legion Pulse. Pre JYM was our third favorite pre workout. Like Pulse, it’s more expensive and has fewer antioxidants than PRE-KAGED. It’s also a little lower in ingredients linked to focus and a couple of the ingredients, like alpha GPC, may not be very well dosed. But by and large, it’s one of the best pre workouts we’ve seen: it’s got a lot of caffeine (300mg), citrulline, and betaine, it has a decent hit of beta alanine, it has a solid six grams of BCAAs, and there’s some black pepper extract to help everything absorb efficiently. A preworkout with strong, clinically effective doses — and a two-scoop serving so you can keep things mild if you prefer. Use code BARBEND10 to save 10%. Legion Pulse was our favorite pre workout for pump. The reason is pretty simple: out of all of the pre workouts we tried, it has the highest dose of citrulline at 8 grams per serving. Citrulline is linked to improved blood flow and nitric oxide, which is linked with solid muscle pumps. At 144mg, it also has more sodium than most other pre workouts, which can help to draw water into the muscles. Learn more about Legion Pulse’s ingredients here. KAGED MUSCLE PRE-KAGED is another great option for athletes looking for a pump. With 6.5 grams of citrulline and 75 milligrams of sodium it’s not quite as highly dosed as Pulse, but it’s still remarkably high in these two ingredients and should deliver for athletes looking for skin stretching pumps. Old School Labs Vintage Blast was our third pick for the pump. It has 5 grams of citrulline and 50mg of sodium, plus it has a gram of arginine AKG and that can help oxidize HMB, a substance that could help to build lean mass. Like many Transparent Labs products, it's an extraordinarily well dosed pre workout for endurance, power, and focus. Use code BARBEND10 to save 10%. 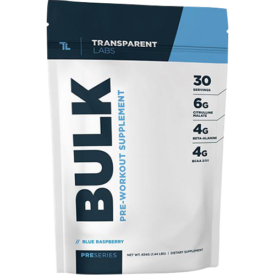 Transparent Labs Bulk might just be the best pre workout for men. In addition to being very high in most ingredients, It has the most sensible approach to increasing testosterone: big hits of vitamin D and zinc, deficiencies in which have been linked to lower levels of T. There’s also boron, which has some pretty positive links to T production. Old School Labs Vintage Blast is our second favorite pre workout for men. That’s not just because it’s super high in citrulline and it contains l-carnitine l-tartrate, which can help with endurance and focus. It also has d-aspartic acid, which some studies suggest may temporarily increase testosterone. GAT Nitraflex is another great pick for male athletes. It’s super high in caffeine (325mg) and there are a lot of ingredients linked to focus and, in the case of citrulline, even hypertrophy. The kicker is that it has calcium fructopyranose borate, an ingredient that has also been linked to a temporary boost in testosterone. Nitraflex is also pretty cheap, but the downside is that it’s a proprietary blend, so we can’t be sure of exact doses. 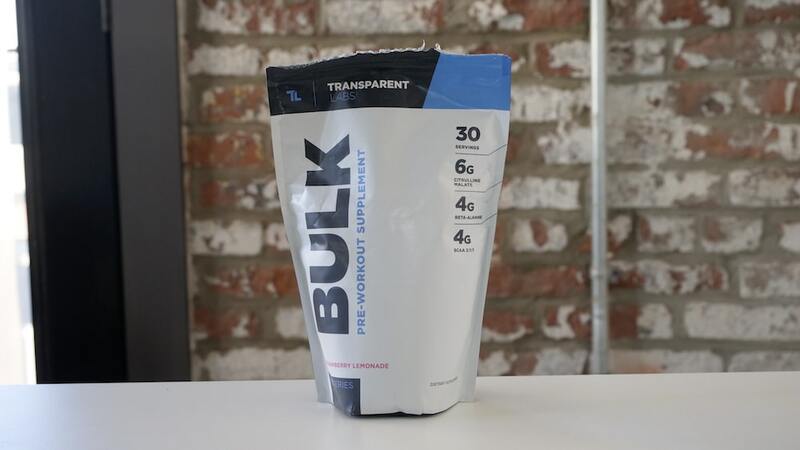 Transparent Labs’ Bulk, when compared to their other preworkout Lean and also when compared to most other preworkouts on the market, is quite a lot higher in beta alanine than you’d expect. It’s true that 1.6 grams per serving is usually seen as the minimum effective dose, but it’s also worth pointing out that some studies have only seen effects with doses as high as 4 grams — what you’ll find in Bulk. Plus it’s got BCAAs and lots of citrulline malate to help with blood flow and potentially power. Pre JYM is another great pick for cardio workouts. Besides the fact that it’s super tasty, I like Pre Jym for cardio because it has 2 grams of beta alanine, plus it has beet extract which might help with nitric oxide production. This could potentially help with performance, endurance, and blood flow. There are also BCAAs, though it’s a little low in a few ingredients linked to power. 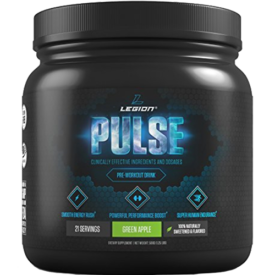 Legion Pulse was our third favorite pre workout for cardio sessions. This is primarily because it has a big 4.8 grams of beta alanine, which is linked to endurance — studies suggest that 1.6 grams is enough to have an effect and it’s very rare to see a dose as high as that found in Pulse. There’s also a lot of citrulline to help with blood flow and the betaine anhydrous could help with anaerobic output in case you want to mix in some high intensity bursts. Learn more about Legion Pulse’s product here. Third-party tested and clearly dosed, this has a huge variety of ingredients for endurance, power, alertness, and focus. Use code BARBEND10 for 10% off. 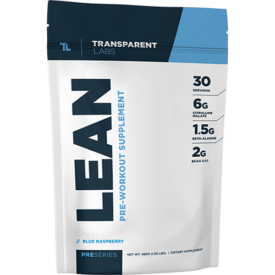 Transparent Labs Lean has a lot of ingredients that you’ll also find in fat burners. A big one is Synephrine, also called bitter orange extract, which a couple of studies found may increase the amount of calories burned in a given day — an effect that may be enhanced by the hordenine that’s also present in this product. On top of that there are some ingredients that may support thyroid health, plus it’s just well-dosed in many of the other mainstay preworkout ingredients we’ve mentioned like citrulline, beta alanine, and theanine to help reduce the jitters from the caffeine. 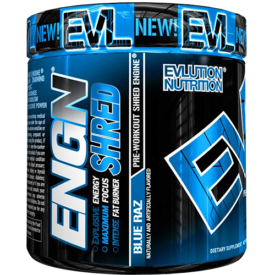 Evlution Nutrition Engn Shred is a fantastic pre workout for weight loss, in our opinion. It has a huge variety of ingredients that are linked to weight loss, including red pepper extract, coleus extract, conjugated linolenic acid, and yohimbine, which is a stimulant that’s similar to caffeine but has a stronger link to fat loss. It’s also free from creatine, which can increase power but it can also cause people to hold on to water weight. MyProtein MyPre V2 is our third favorite for weight loss. It contains two kinds of yohimbine as well as Capsimax®, a kind of chili pepper extract that’s less spicy than some of its competitors. Note that it does contain creatine, but just two grams of it — enough to boost power, but probably not enough to cause a significant increase in size. There you have it — our five favorite pre workouts on the market. But when you’ve tried as many as we have, there were a lot of others that we loved but didn’t quite fit so neatly into the previous categories. That’s why we’ve also come up with a list of the best pre workouts for cutting, for running, the best pre workout without creatine, the best pre workouts without caffeine, the best all-natural pre workout, and of course one of the most common queries: the strongest pre workout with the most caffeine. Keep reading! This pre workout contains a proprietary blend of 5,700 mg of energy boosting and fat burning ingredients. 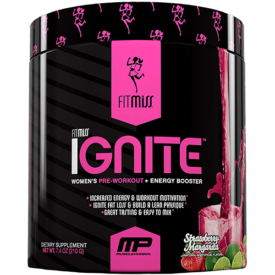 FitMiss Ignite was our favorite pre workout that’s specifically targeted to women. There are a few differences that women may look for in a pre workout, but a common complaint is that many pre workouts can be too strong for lighter athletes. FitMiss Ignite is lower in caffeine than the options listed above — it has 100mg, the amount you’ll find in a cup of coffee — plus it’s so cheap (55 cents a scoop) that if you want a stronger effect, you can double your serving without spending too much. It also contains several ingredients linked to endurance and especially focus, plus the Strawberry Margarita flavor we tried was delicious. Learn more about FitMiss Ignite here. StrongGirl Pre-Workout came in second as far as our picks. It’s not quite as cheap as FitMiss, but it’s still very reasonably priced. It’s also a little stronger in caffeine (125mg) and it still has a lot of ingredients linked to focus and endurance. Unusually, it’s also very high in antioxidants, which might help reduce cell breakdown and improve skin health, plus it has the interesting addition of Japanese raisin tree extract, which may reduce the severity of hangovers. The downside is that it’s a proprietary blend, so we don’t know the exact doses. PUMPSURGE was another good choice for female athletes. It’s got more betaine than either of the other two options, meaning it could be a great choice for strength-based workouts. The big difference, however, is that instead of a big dose of caffeine it contains rhodiola, a Scandinavian plant that has strong links with reduced fatigue and improved focus. A diverse pre workout that contains multiple energy boosting ingredients and amino acids to fuel a workout. 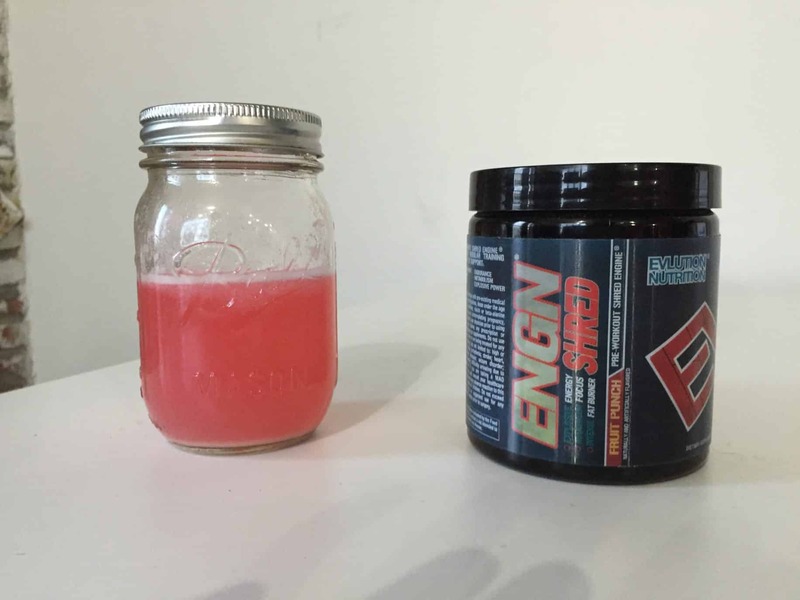 Evlution Nutrition Engn Shred was our favorite best pre workout for people cutting weight. Not only is it a pre workout with plenty of beta alanine, caffeine, and tyrosine, but it has an “Engn Shred Matrix” that’s full of ingredients that are linked to improved fat loss like red pepper extract, coleus extract, and yohimbine. It’s also tasty, reasonably priced, and the coleus extract could even help with hormonal function. Learn more about Evlution’s pre workout formula here. C4 Ripped is another great pre workout for cutting. As the name suggests, it’s focused on fat loss and it contains many of the same ingredients in the Engn Shred Matrix above, but in smaller doses. (That’s why it came in second.) An interesting difference is that it contains green coffee bean extract, which has some links with fat loss. Transparent Labs Lean is another good pick for athletes on a cut. It’s more transparent than the other options on this list — we know the exact weight of every ingredient — and while it’s not as high in popular cutting ingredients like cayenne pepper and coleus extract, it does contain bitter orange extract (a.k.a. synephrine), which multiple studies have found may increase calorie burn for a couple of hours. Transparent Labs BULK is our favorite for running. First of all, at four grams, it has more beta alanine than almost any other pre-workout we’ve seen. This makes it a great pick for longer runs. It also has a large amount of citrulline, which could help with nitric oxide and thus boost endurance. But what brought it to number one was all the ingredients for focus: taurine, theanine, and tyrosine, meaning it could help you stay present and “in the zone” for longer runs. Old School Labs Vintage Blast is an excellent choice for running. It isn’t just a great source of citrulline, its real strength is that it contains 150 milligrams of caffeine anhydrous and 100 milligrams of micro-encapsulated caffeine. The micro-encapsulated caffeine particles are coated with a thin, edible film that makes them break down more slowly, so there’s a “two-stage” effect that gives you two hits of caffeine: one at the outset and another mid-workout. That makes it ideal for longer runs. MyProtein MyPre V2 is our third pick for running workouts. It’s cheaper than Vintage Blast and it’s higher in beta alanine, which is great for endurance-based workouts, plus it has more tyrosine to help with focus, an underrated component of running. It also contains the adaptogen astragalus, which might help remove lactate and ammonia and thereby reduce muscle soreness. Legion Pulse was our favorite, super strong pre workout. All of our top three have 350 milligrams of caffeine per serving, about as much as you’ll find in three and a half cups of coffee. But what made Legion Pulse the top contender is that it’s also the strongest pre workout in terms of citrulline (with 8 grams) and betaine (2.5 grams), making it an excellent choice for endurance- or power-based workouts. Learn more about Legion Pulse’s formulation here. Nutrex Research OUTLIFT is another excellent, and very powerful pre workout. It’s also got 350 milligrams of caffeine and it’s just as high in citrulline as Legion Pulse, plus it contains a significant three grams of creatine. It’s also pretty darn high in beta alanine (3.2 grams) and taurine (2 grams), meaning it should boost endurance and focus, plus it has branched chain amino acids to help with muscle retention and endurance. One downside: at $2.50 per serving, it’s very expensive. Animal Fury is our third favorite pre workout as far as caffeine strength goes. It’s got 350 milligrams of the stuff, plus at one gram, it has more tyrosine than the previous two options. It’s also got 2 grams of beta alanine and 6 grams of citrulline plus 5 grams of BCAAs. While it’s not higher in these ingredients than Pulse or Outlift, the doses are still effective and it’s markedly cheaper than either of them at $1.50 per scoop. Legion Pulse came in first once again. It’s got some of the highest doses we’ve ever seen of caffeine, citrulline, beta alanine, plus it’s got a lot of taurine and theanine, ingredients that can help with focus and reduce the jitteriness associated with large doses of caffeine. Another bonus: it has 2.5 grams of betaine, which is linked to power output, so you may not miss the power-boosting effects of creatine. Learn more about Legion Pulse’s formulation here. Ghost Legend is a really good choice for a creatine-free pre workout. It may have “just” 200 milligrams of caffeine and some of the ingredients are a little underdosed, but it’s pretty high in beta alanine and citrulline and it has a ton of extra ingredients that help focus and even a few, like olive leaf extract that could speed up fat loss. Plus, the Sour Watermelon Warheads® flavor tastes just like the candy. Animal Fury is another excellent choice for a creatine-free pre workout. It doesn’t have any betaine, but the tyrosine and the enormous 350 milligrams of caffeine could very well ratchet up your power output anyway. It’s also so high in citrulline and beta alanine that it should benefit endurance-based workouts. Legion Pulse is the best all natural pre workout on the market, in our opinion. It doesn’t have any artificial flavors, colors, or sweeteners, and it’s flavored instead with an unusual variety of sweeteners: stevia, maltodextrin, and erythritol, which is a sugar alcohol that’s used in a lot of low-calorie snacks. Another fun fact is that the Blue Raspberry flavor we tried is colored with spirulina, a type of algae that’s used in many natural health supplements owing to its high concentration of B-vitamins, minerals, and chlorophyll. Old School Labs Vintage Blast is another great, all natural pick. It just comes in Blueberry Lemonade flavor, which is somewhat sour and not quite as easy on the palate as Legion Pulse, but it’s still a great quality supplement that’s flavored with stevia and pineapple juice powder. The active ingredients support a variety of athletic goals but owing to its two-stage formula it’s especially useful for endurance athletes. Rootz Paleo Energizing Superfood is a very interesting option for all natural pre workouts. It actually doesn’t have any beta alanine, citrulline, or many of the other popular pre workout ingredients but that’s its niche: it’s a pre workout for people who don’t like the tingling, unnaturally energetic feeling that can accompany some supplements on the market. It’s instead comprised of fruits, vegetables, roots, and herbs that have been traditionally used in cultures around the world for their energizing properties. The result is a smooth, enjoyable energy source that won’t knock you off your feet. This pre workout delivers a robust blend of energy, pump, and endurance boosting ingredients. 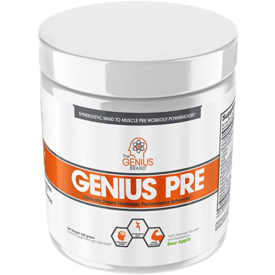 The Genius Brand Genius Pre was our favorite caffeine-free pre workout. It’s a little on the pricier side, but instead of caffeine it uses rhodiola rosea and theobromine, ingredients that have been linked to reduced fatigue and improved focus. Along with very high doses of pre workout stalwarts beta alanine and citrulline, it’s also got a lot of unusual ingredients often left out of pre workouts, like ElevATP for power and astragalus, which can help with focus and possibly reduce muscle cramps. Learn more about their formula here. PUMPSURGE is another excellent, caffeine-free supplement. It has a shorter ingredients list but like Genius Pre, it uses rhodiola — twice as much — to help users beat fatigue without feeling overstimulated. It also has remarkably high doses of citrulline and in particular betaine anhydrous. Note that it doesn’t have any beta alanine and it’s a little low in ingredients linked to endurance, but that could be good news for folks who dislike the “tingly” feeling that beta alanine tends to produce. Onnit Total Strength + Performance is our third favorite for folks who don’t want stimulants. The all-natural supplement has BCAAs for muscle retention, endurance, and focus; beta alanine for endurance; and an unusually high number of plant extracts that have been linked to optimal levels of testosterone and estrogen in the body. The downsides are that it’s fairly pricy, and it has proprietary blends, so we don’t know exactly how effective the doses are. We tried dozens of pre workouts to land on this list of the best on the market for almost any athlete, whether you love or hate caffeine, want to improve your run time or just get a better pump. We looked at the price, taste, ingredients, and effectiveness for every one of these supplements and while plenty of people have different ideas as to what constitutes a “quality” supplement, but we think we’ve put together the best darn guide to picking a pre workout on the internet. For more information on each of the products, just make sure to click through to the full review. Enjoy! 1. Childs E, et al. Subjective, behavioral, and physiological effects of acute caffeine in light, nondependent caffeine users. Psychopharmacology (Berl). 2006 May;185(4):514-23. 2. Smillie LD, et al. Caffeine enhances working memory for extraverts. Biol Psychol. 2010 Dec;85(3):496-8. 3. Mednick SC, et al. Comparing the benefits of caffeine, naps and placebo on verbal, motor and perceptual memory. Behav Brain Res. 2008 Nov 3;193(1):79-86. 5. Hobson RM, et al. Effects of β-alanine supplementation on exercise performance: a meta-analysis. Amino Acids. 2012 Jul;43(1):25-37. 6. Hipkiss AR. On the enigma of carnosine’s anti-ageing actions. Exp Gerontol. 2009 Apr;44(4):237-42. 7. Lee, E.C. et al. (2010) Ergogenic effects of betaine supplementation on strength and power performance. J Int Soc Sports Nutr. 2010; 7: 27. 8. Hoffman, J. et al. (2009) Effect of betaine supplementation on power performance and fatigue. J Int Soc Sports Nutr. 2009; 6: 7. Citrulline is effective for pumps; this is news to me. I thought it was useful for removing metabolic byproducts such as ammonia from the bloodstream. Great article. Yep, thank you for the tips, I’ve tried JYM and it was not for me. I felt his supplements tasted like chemicals and were not strong enough and never felt that “PUMP!” I have tried Nutrex and that outlift amped is the way to go, but I could not sleep with that one. I’m going to try the Legion Pulse, and I want to give Ghost a try too. Oh, I do have a shelve full of KM and yes his supplements are great, never felt sick from them. The only thing from KM I don’t care for is the protein powder. Looks like crazy good stuff for your body. Looks like they have everything you need for what ever workout your doing to build your strength and well being. Nice job barbend.